Attendees of the Toyota Grand Prix of Long Beach are in for an energetic good time as six-man Latin and Hip Hop band Ozomatli is set to headline the April 13 Fiesta Friday Concert, officials announced. 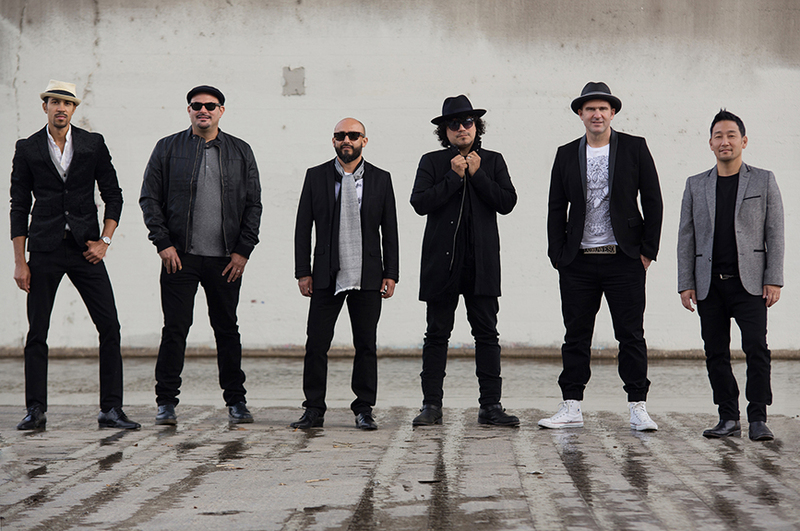 Founded in 1995 and described as one of the most exciting, captivating, flat-out fun live shows touring today, Ozomatli represents the eclectic culture of Los Angeles through music that the local community can relate to. The group is versatile, using salsa, jazz, funk, reggae, rap and other styles to keep audiences on their feet. Ozomatli’s members, Wil-Dog Abers, Raul Pacheco, Justin “El Niño” Poree, Asdrubal Sierra, Ulises Bella and Jiro Yamaguchi, have been with the band since their debut album in 1998. With seven studio albums and multiple international concerts under their belt, the band has also served as the in-house group for stand-up comedian Gabriel Iglesias’ show, Gabriel Iglesias Presents Stand-Up Revolution. Past Fiesta Friday concerts have featured major artists including El Tri, Moderatto, Fobia, Moenia and more. Starting at 6:45PM, the show will take place on the plaza in front of the Long Beach Performing Arts Center adjacent to the Long Beach Convention Center and is free to Friday race ticket holders. Space at the plaza is limited and will be available on a first-come, first-serve basis. Toyota Grand Prix of Long Beach tickets, parking and paddock passes can be found online here; ticket orders can also be placed by calling the toll-free ticket hotline (888) 827-7333.